Ann has contributed a new stitching pattern for the Hobbyjournaal 112 magazine. This is the card that I created with the new pattern. In celebration Ann is offering the MAGAZINE FREE with each order from the webshop. Come by and have a look at all of the wonderful things. This month is Marks birthday and this is the card that I created for his special day. The pattern is a224 and is available from Ann's Paper Art webshop. Threads are Mettler Polysheen 0151,0152,0853,2241. 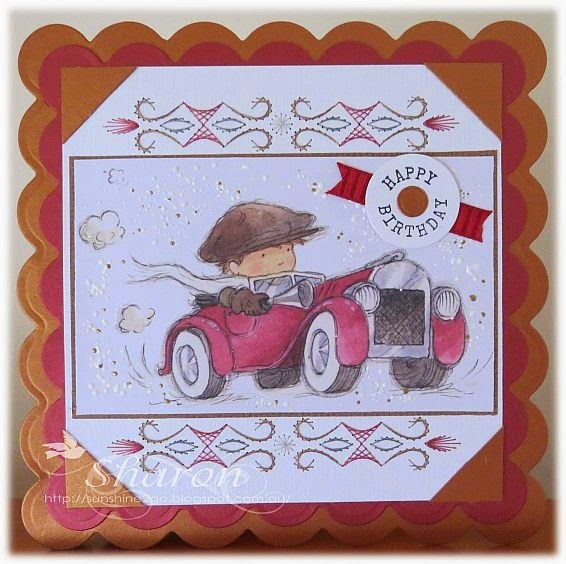 I have used a image from one of the Lili of the Valley art pads called "Vintage Boys"
I love these images as they are already coloured and for those of us that don't colour they are perfect. Happy Birthday stamp is also from Lili of the Valley. I have splashed some Frantáge around the image. 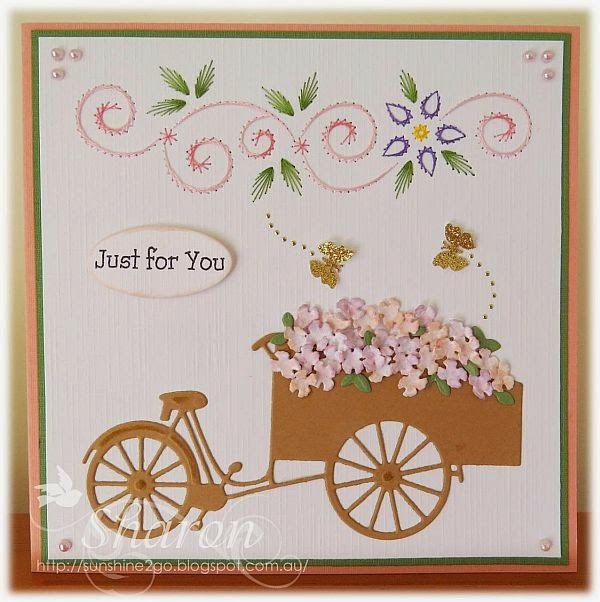 The base of the card is created with Spellbinders LF-127. I enjoyed creating this card, I think that I am getting better at making cards for our men folk.